Apple has announced that it has sold 4.9M Macs in its fiscal Q4 2012, contributing to $36B in revenue for the company. This number indicates a 1% increase year over year for Mac sales. Apple’s Peter Oppenheimer said that MacBooks were now 80% of all Mac sales. 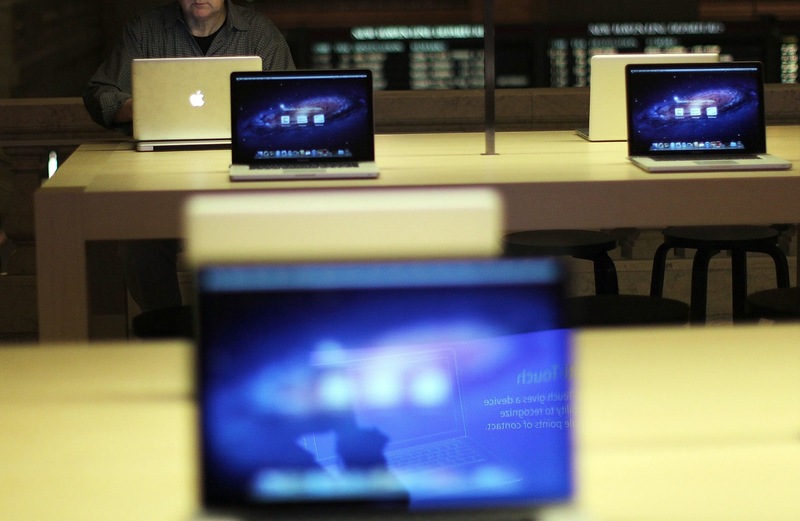 Analysts expected Apple to ship 1.5M Mac desktops and 3.6M laptops in Q4. Last quarter, Apple sold 4M Macs total, bringing sales up 2% when compared to the same quarter a year ago. iPod sales were at 6.8M down 10%. The ‘halo effect’ of purchasers buying iOS devices and then wanting more of the same from their desktops has a lot to do with the continued growth of the Mac while other PC vendors see declines. When a PC user who has purchased an iPhone or iPad falls in love with the experience of using it, Apple cares about making them feel the same way about the Mac. It would be stupid if it didn’t try to make the millions of people who have purchased iOS devices feel welcome there. That’s why Mountain Lion is more about unification than iOS-ification. The iPhone introduced Apple to millions of people — our brand — to people who had never met Apple before. Now, it’s interesting to look — take China as an example — last year theMacintosh grew more than 100% in China, year-over-year. Not on a big base, but 100% is pretty good. The market grew 10%, so we outgrew the market 10x. The iPhone is creating a halo for the Macintosh. iPhone has also created a halo for iPad. You can definitely see the synergistic effect of these products, not only in developed markets, but also in emerging markets where Apple wasn’t resonant for most of its life. With this quarter’s continued increases, this trend stands to continue.